The error code “0x800700005” sure is one of the most disturbing error messages regarding the Windows Store platform in Windows 10, Windows 8.1. The good news is that we have managed to find a few fixes for this issue. Follow the tutorial below and you will successfully install your apps in the shortest time possible on your Windows 10, Windows 8.1 computer. Follow the instructions below to check if you have the correct permissions for the folder where the application you are trying to install is stored. 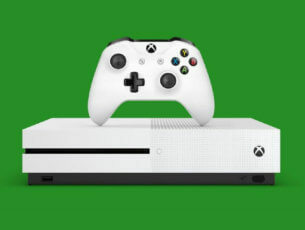 You’ll also download and run some troubleshooting applications in order to automatically fix your system errors in Windows 10, 8.1 and be able to download apps from the Windows Store. Open your file explorer in Windows 10, 8.1. Note: usually the “C:/” partition is the Windows partition. Double click or double tap on the “Users” folder to open it. From the Users folder, double click or double tap on the folder with your username. From your username folder, double click or double tap on the “AppData” folder. From the AppData folder ,double click or double tap to open the “Local” folder. 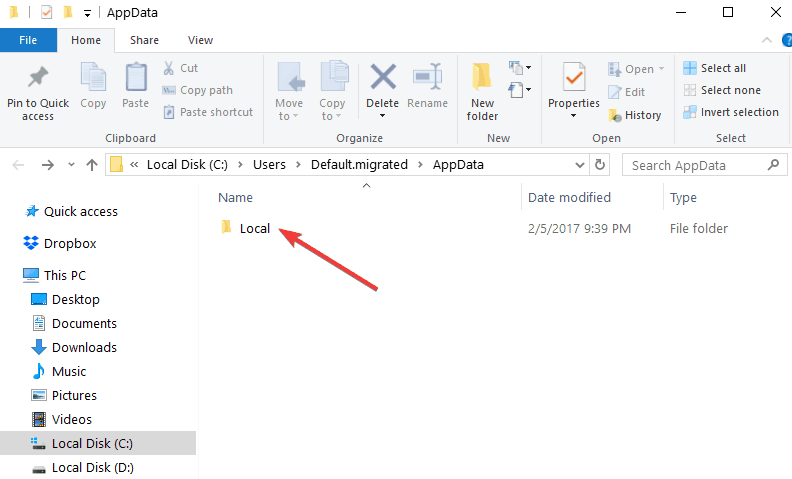 In some cases, the Local folder is located in the Default.migrated folder. In the “Local” folder, you will need to find the “Packages” folder. After you found the Packages folder, right click or hold tap on it. From the menu that appears, left click or tap on the “Properties” feature. In the Properties window ,you will need to left click or tap on the “Security” tab situated in the upper side of the window. In the “Group or user names” list check each username and be sure it has full permissions. If a username does not have full permissions, you need to left click on the “Advanced” button. 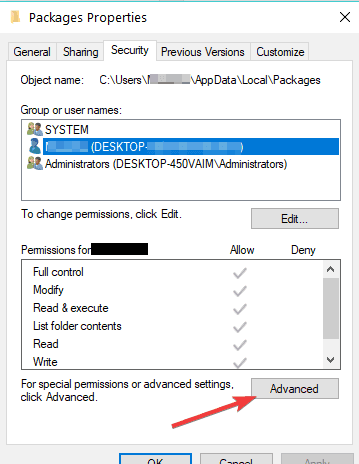 In the Advanced window, check what usernames does not have full permissions and left click on the username. Now left click or tap on the “Add” button. In the next window that appears left click or tap on the “Select a principal” link. In the next window called “Select User or Group” you will need to write “Users” under the “Enter an object name to select” topic. Next left click or tap on the “Check Names” button. Under the “Basic Permissions” topic check the box next to “Full Control”. Reboot your operating system > check again to see if you still get the error message 0x800700005 while trying to download apps. Left click or tap on the link posted below to download the Windows App troubleshooter. Save the executable file to your Windows device. From the menu that appears left click or tap on the “Run as Administrator”. Follow the instructions on the screen to finish the troubleshooting process and reboot your Windows 8.1 operating system. 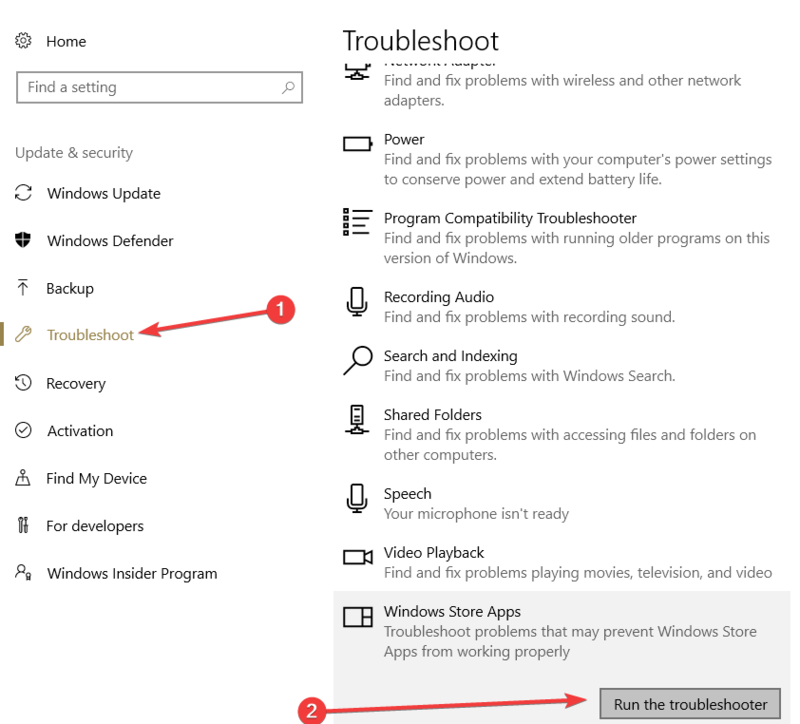 If you’re running Windows 10, you can also launch the Windows Store Apps Troubleshooter from the Settings page. Navigate to Settings > Update & Security > Troubleshooter > locate and launch the troubleshooter, as shown in the screenshot below. 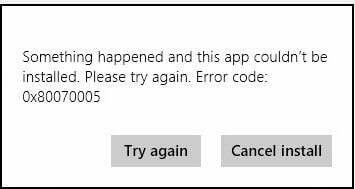 Another quick method to solve error 0x800700005 is to reset your Windows Store app. This tool is essential for downloading and installing other Windows Store apps. In other words, if there is something wrong with the Windows Store App, you won’t be able to download new apps or update the ones you already installed. 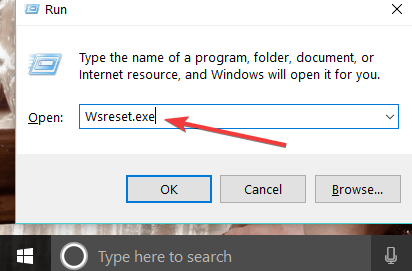 To reset the Store App, all you need to do is open a Run window and enter the WSReset.exe command. Hit Enter, wait for a few seconds and then restart your computer. Open the Windows Store again and check if the problem is still there. And this is all. There you have a few quick methods that will fix your error code 0x800700005 in Windows 10, 8.1 so that you can start downloading and installing your favorite apps from Store again. If you do have any questions regarding this article, please write us in the comments below and we will get back to you as soon as possible.